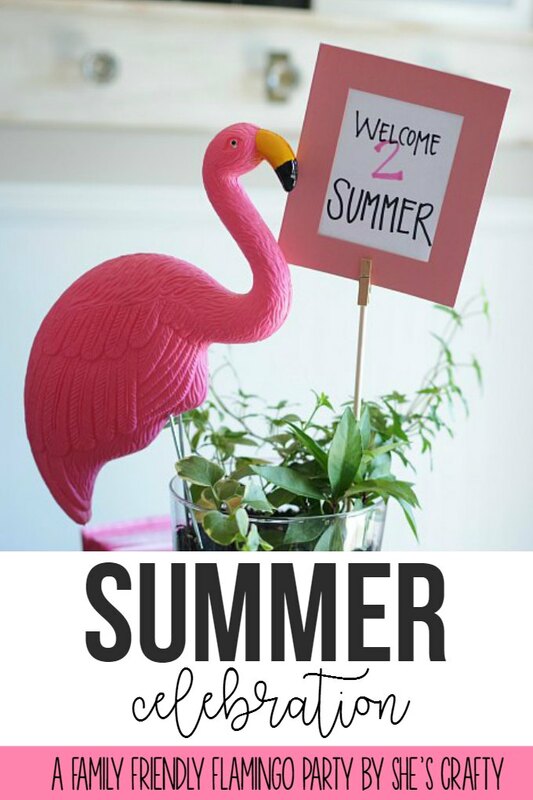 Do you want a FUN way celebrate the start of summer? 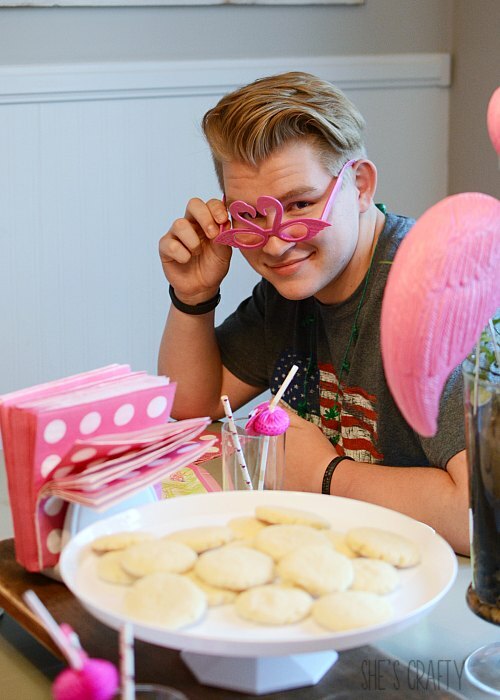 Throw a Family Friendly Flamingo Party!! Well, it is my opinion that parties do not have to be any of these. 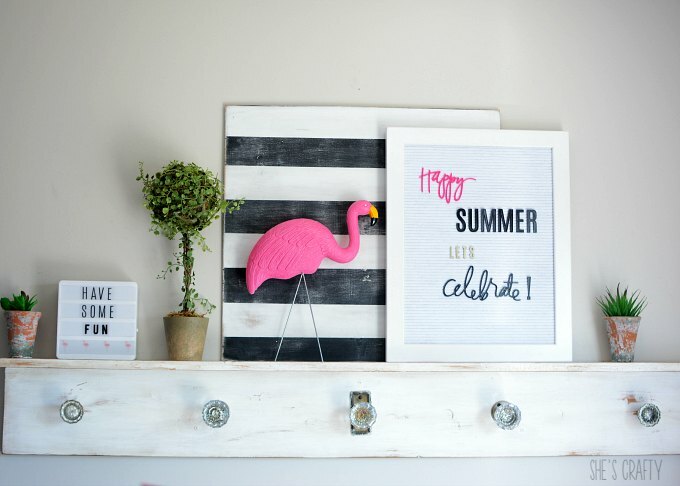 I'll show you how I put together a simple, yet fun Summer Celebration! I spent very little money to set this party up. 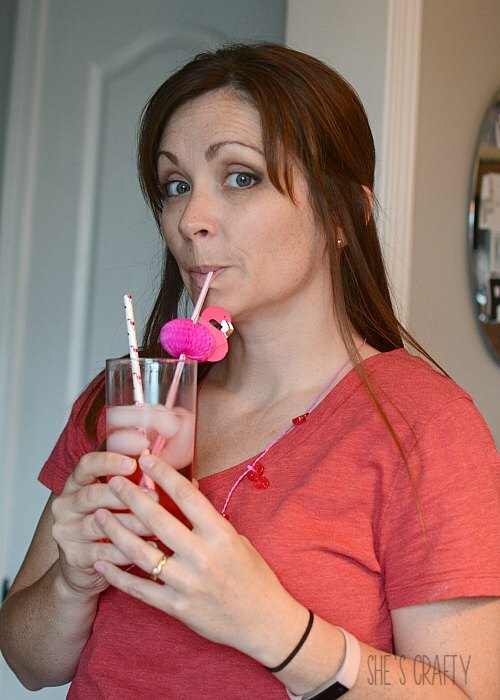 The plates, straws, cups and flamingos all came from the dollar store. 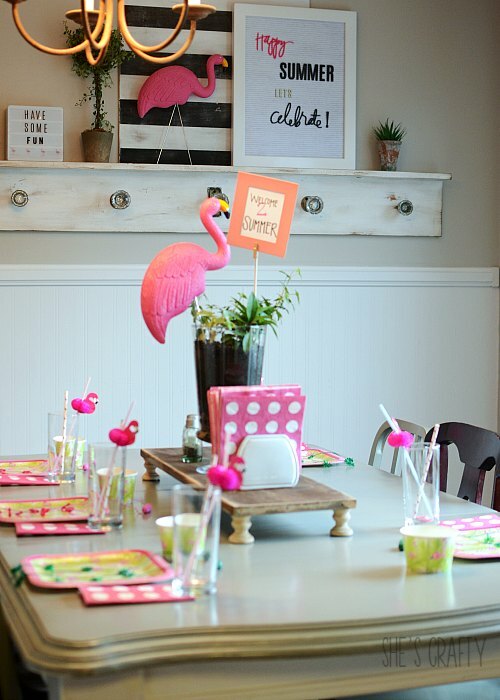 I used items I had on hand (except the dollar store flamingos) to create the decorations. The lightbox and letter board are so handy to have and can be used for any occasion! 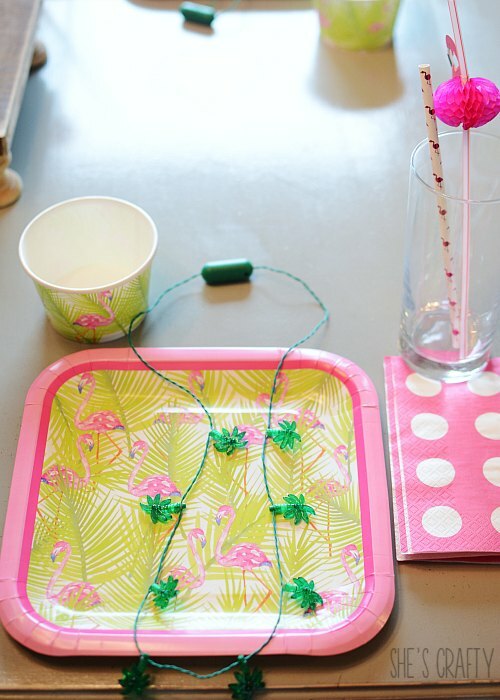 I set the table very simply with flamingo plates, flamingo cups, 2 kinds of flamingo straws (because I loved them both) pink napkins and blinking necklaces with either palm trees or flamingos. 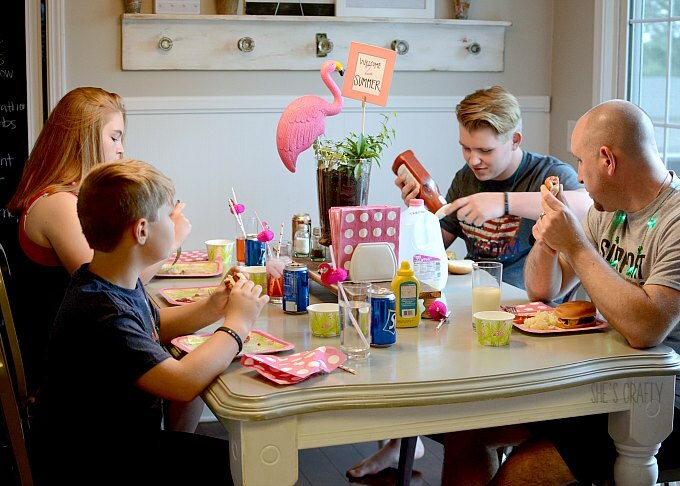 It's nothing too extravagant or complicated but it makes family dinner a little bit more exciting! Here is the table set up right next to our Summer bucket list. We kept the menu very simple for dinner. 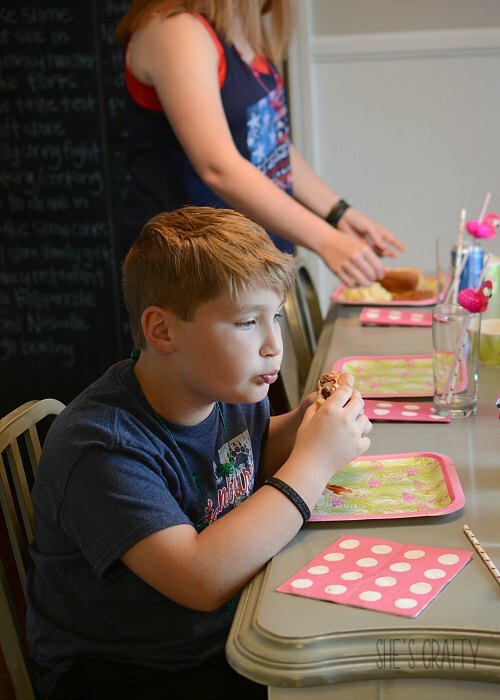 We had grilled hamburgers and hot dogs, potato salad and baked beans. A menu can't get much more summer than that. We added a tiny bit of cherry syrup to our Sprite to make the drinks extra special! 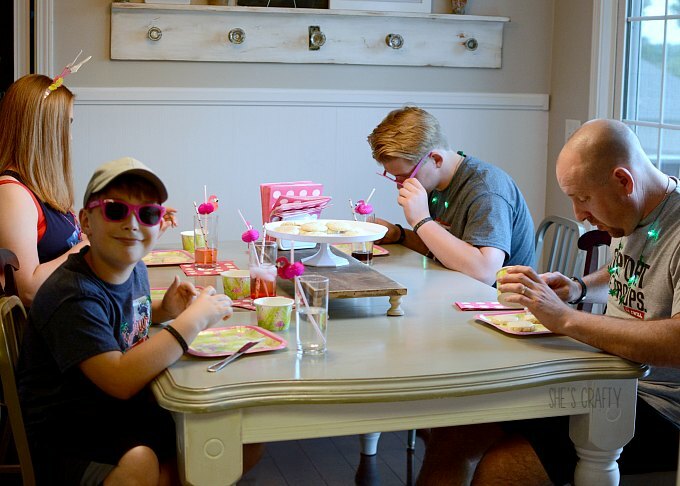 After dinner we moved to the fun part, decorating sugar cookies. 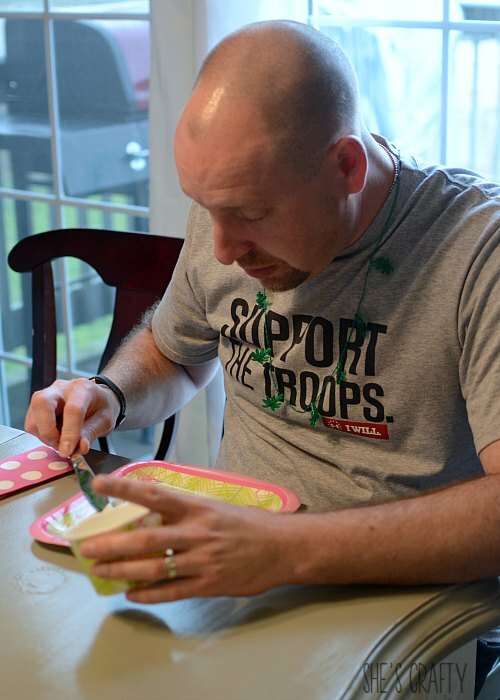 Cookie decorating is normally something we do at Christmastime. But I think that's what made it so fun to do for summer. And they were tasty!! 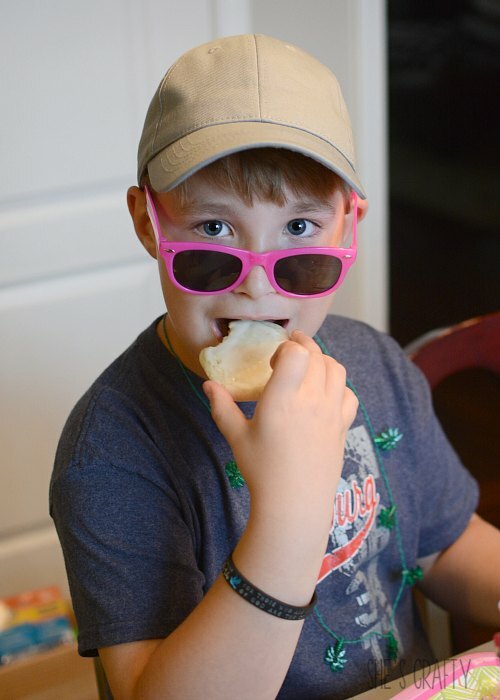 Who doesn't love a good sugar cookie?!! 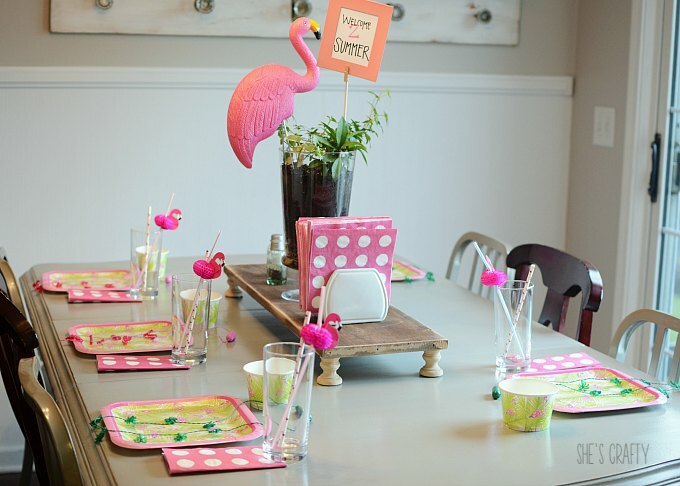 This Family Friendly Flamingo Dinner Party for Summer is a Fun way to celebrate the Summer. 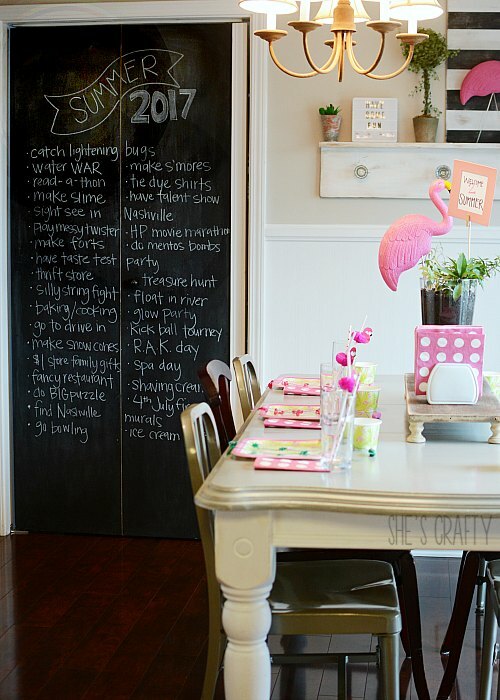 Don't be afraid to put together a simple yet fun party. Shop the things you have at home and browse the dollar store. You'll find that it's pretty simple to do! This is just the cutest!! I love flamingos! Your decor is gorgeous and I love the place settings! So fun and cute! Makes me think of my Papa, he loooves flamingo stuff. Flamingos are so retro! They remind me of my youth, when people had them in their yards. This is so cute and looks like so much fun!! I will definitely have to dress up our next bbq a little and turn it into a party my girls would love. I use any excuse I can to celebrate! Luckily my husband is a good sport! So cute! That's such a fun and easy way to make a regular BBQ or dinner feel more special. 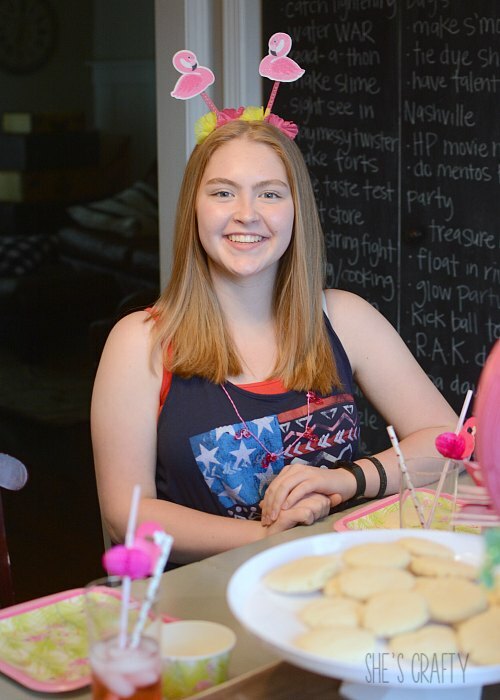 I love the cookie decorating idea too! Adorable! 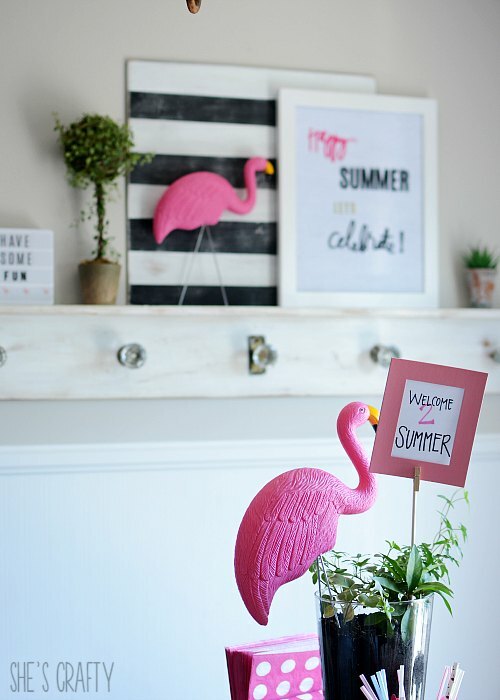 The flamingo theme is sooooo perfect for summer shin digs! I just love flamingos! They are so fun! what a cute idea! I love any type of themed party!